The University has 12 faculties and colleges embedded in it. We have been able to scratch the surface of the University Portal http://www.portal.uniabuja.edu.ng/ and look into vital details about the University, and if anything, this should have helped readers to know what kind if the school University of Abuja is already is. At this point in time, there should no longer be a doubt in your heart about this school. We will now look into the administrative aspect of the school, which involves mainly the undergraduates and the Pre-Degree students. As an undergraduate who has just completed the first semester of the first school year, you would be wondering how to check your results to see how well you have attained success. You need not worry because this article will guide you to it. The first instruction is the registration number and the second is password. When you have provided this information, you click on login to access your result details. Every Pre-Degree student has to undergo this registration process and not only undergo it, but you also have to make sure that all the processes undergone correctly. For you to be considered a Pre-Degree student in the first place, you must have the following documents or be eligible in the following areas. To formally apply for the Pre-Degree program in UniAbuja, you must go through the following processes. 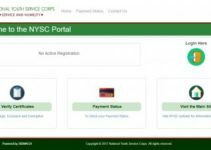 Generate your Remita Retrieval Reference (RRR) number to make possible payments for the program. FCT Abuja is the one place everyone in Nigeria aspires to go to no matter what. It is known and popularly called Nigeria’s small London. The environment is sleek and very beautiful in most parts of it, and you don’t want to get us started on how beautiful the Presidential areas are, the hotels around the capital and the lovely buildings and companies. Most people love Abuja for what they hear on the news and most people just want to visit the White House at least for once in their lives. Abuja is a lively city and a very beautiful one at that. This does not in any way mean that there are places in Abuja that you do not want to ever visit in your life, but the major parts of the city are polished and well refined, and why won’t it be, when the president has his home situated there. Federal Capital Territory Abuja is the capital of Nigeria and it is the place where most decisions regarding the country Nigeria takes place. The President lives in Abuja, in the white house, and though you can never know when the President is sitting in the comfort of his home, as he always has to be at different places at different times; what can you really expect from a President. This article is not solely about Abuja, although, if it fails to mention specific details about the state, you will wonder why it has a school in the first place. This article is more focused on the University of Abuja – UNIABUJA admission portal and other portals related this great institution of learning, how it is run, and how it benefits Undergraduates and even pre-degree students. It is advisable that readers pay close attention to the details and fact written down in this article so as to have a proper insight into the University of Abuja and how different things and activities are carried out there. We will now explain the two terms listed above, and it is imperative that we know what they stand for and what they represent in the University. An undergraduate, you will agree with me is first someone who is not a graduate. An undergraduate is an individual, be it male or female that is involved in the academic processes of a school, and whose main objective is to leave the school with a good degree or result. An undergraduate can be in his or her first year or final year at the University, but he or she has not yet completed the required conditions needed for he or she to be a graduate. An undergraduate in the real sense is a person who passed through a series of tests, examinations, and screening in order to be identified as part of a University of his or her choosing. An undergraduate is required to sit in class, take lectures, go for tests and also go for examinations when the time is right. An undergraduate has to be very conversant with the portal of his or her school in order to smoothly run or go through some processes like checking results or registration of courses. That is all there is to know about an undergraduate, but if you have more definitions, feel free to add them to your research collections on definitions of terms and terminologies. WHO IS A PRE-DEGREE STUDENT? A Pre-Degree student is one who is between becoming a student of a University and not becoming a student of that University. Explaining further, a Pre-Degree student is different from an admitted student because the school has not yet taken it upon itself to admit such student into the school. Pre-Degree students usually go through personal training and classes by the University and even live like students of the University in most cases, but they are not yet part and parcel of the University. Many schools including Federal and state schools, make use of the Pre-Degree exercise in other to accommodate more people in the University. 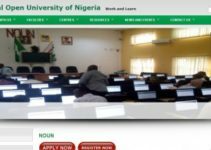 Not everyone is happy with registering for JAMB over and over again, so some students are left with no choice but to opt for Pre-Degree exercise which is believed would be better as the University considers admission for the Pre-Degree students first before the JAMB students and any other student for that matter. In every school which makes use of Pre-Degree programs, when the admission list comes out, the Pre-Degree students usually take the front row because it is assumed that they are well refined and reformed by the University and have undergone good training by the University. The JAMB students are not in any way inferior to the Pre-Degree students but it is normal for every school. The Pre-Degree part of every school pays higher amounts than normal students that come through the JAMB process, and although it is nothing like preferential treatment, it can be tagged the ideal treatment for the sake of the students. This, however, should not push or drive you to register for the Pre-Degree program at the cost of your parents’ pockets when you can easily go through JAMB and still be part of the University either way. Seeing that justice has been brought to these two terms it is very important that the right terms are used at the right time and for the right people. That you are still part of the University, definitely means that you are still an undergraduate and not a graduate, and also that you take classes and have sessions like the normal students in the University, definitely does not mean that you are already part of the University until proven otherwise by the University. The tertiary institution is located in the Federal Capital Territory Abuja and it was brought into existence in the late 80s which placed it under a Decree which was No. 110 of 1992. Its first purpose was to make provision for effective and long lasting distance learning programs. The school started its work in 1990, and it held a matriculation ceremony for its first set of students. The University has however gone against all odds and improved itself in every way for the sake of its students. From being such a troubled University, it has however improved to the extent that it is on the top 10 list of best Universities in Nigeria by the National Universities Commission. The University formerly had a mini-campus but is now occupying its permanent spot there in Abuja. The school, however, owns two campuses for its students. The University’s motto is “For Unity and Scholarship”. 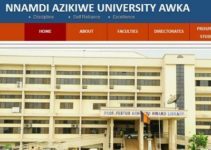 The school has had a series of Professors as its Vice Chancellors, and so the present Vice-Chancellor of the University is known as Professor Michael Umale Adikwu. The colors of the school are the same thing as the Nigeria flag which is Green and White, and the school is affiliated with Nigeria University Commission also known as NUC. The nitty gritty on University of Abuja student portal has been discussed and well analyze, I hope you enjoy the write.